"bold . spiced . lemon"
Serve with: lamb. chicken. grilled prawns. seafood. calamari. fish. sweet roasted vegetables. dressing. marinade. seasoning. sauces. dips. As an alternative to mint sauce, tartar sauce and mayonnaise. 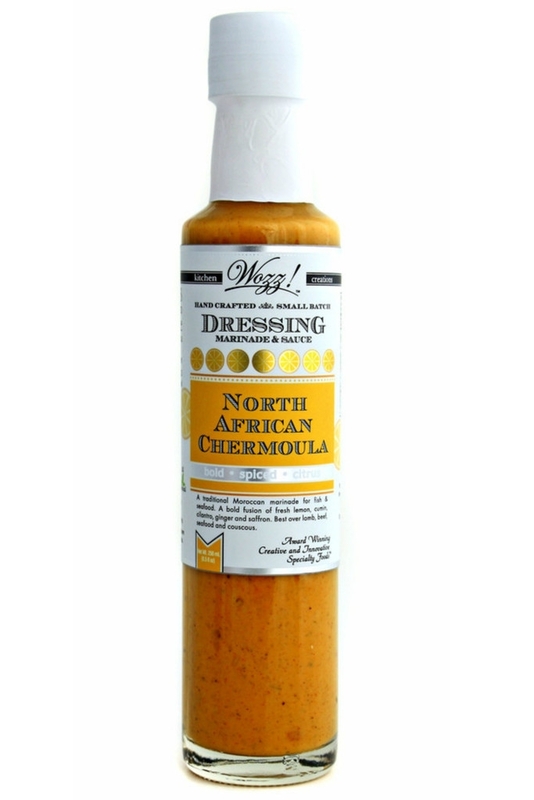 Chermoula is a North African blend of spice originally used to marinade fish and seafood. Full of cumin, coriander seed and bursting with lemon makes it perfect for lamb and it's an excellent marinade for chicken before grilling. Use as a dressing on a salad of fresh mint or coriander. Fold it through cooked couscous. 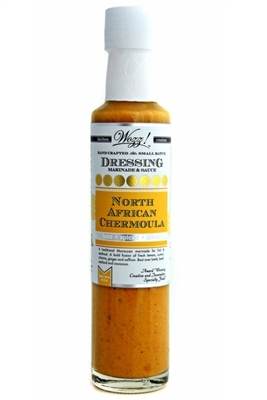 Slow cook a leg of lamb in half Chermoula and water, baste the lamb to create a zingy sauce with a difference. Spoon over grilled fish, fried seafood and salads. Don't underestimate the versatility of this ingredient. Also perfect mixed with Greek yogurt for a dipping sauce for grilled chicken or lamb skewers.
. Marinade . Season . Sauce . Dress . ✤ Braised lamb gravy: Seal a chermoula marinated lamb leg or shanks on high heat for 20 minutes. Reduce heat to 200 degress F. Add 1/2 cup of Chermoula to two cups of water to the roasting pan. Cover whole pan with a lid or foil. Slow braise the leg (basting every 20 minutes) for 5 hours or until meat falls away from the bone. (top up with water when necessary) Skim off fat and reduce until sauce thickens. Finish with fresh chopped tomato and coriander. ✤ Season: Couscous: Fold through cooked couscous with chopped fresh mint and dried figs. ✤ Cold sauce: Especially lamb, seafood as well as chicken beef and pork. Alternative to mint sauces, tartar sauce and mayonnaise. ✤ Dipping Sauce: Mix with Greek yogurt for a delicious dipping sauce for chicken and lamb skewers or spoon atop burgers, wraps, and salads.